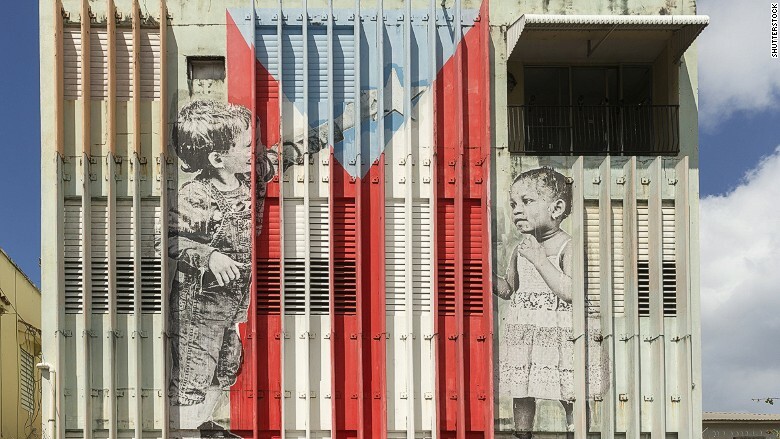 Puerto Rico just went into default for the first time in its history. The commonwealth paid a mere $628,000 toward a $58 million debt bill due Monday to creditors of its Public Finance Corporation. This will hurt the island's residents, not Wall Street. The debt is mostly owned by ordinary Puerto Ricans through credit unions. "This was a decision that reflects the serious concerns about the Commonwealth's liquidity in combination with the balance of obligations to our creditors and the equally important obligations to the people of Puerto Rico," Puerto Rico's Government Development Bank president Melba Acosta Febo said in a statement. The default is a historic moment in Puerto Rico's economic "death spiral," a term the island's governor, Alejandro Garcia Padilla, has used. The island is struggling with about $70 billion in total outstanding debt, and its economy is in recession. Padilla has put together a team to come up with a plan to restructure Puerto Rico's debt crisis by the end of the summer. Related: Who owns Puerto Rico's debt? It is hitting people especially hard. Puerto Ricans are leaving the island in droves in search of jobs and stability. Unemployment is high, the economy is shrinking and the future looks shaky. Omar Rodriguez and his wife left Puerto Rico two weeks ago to move to Austin, Texas. Rodriguez, 26, is a former government employee and he's never lived outside the island. He's already got two jobs: one at a restaurant at the University of Texas, and the other as an assistant teacher at a nearby school. His wife is a teacher too. He admits that starting a new life in Texas will be an uphill battle, but it's better than the uncertainty back in Puerto Rico. "I wouldn't imagine having the same quality of life in Puerto Rico at the moment and that saddens me," Rodriguez said. "Saying goodbye to my parents ...it was a bit unbearable." "This is a first in what we believe will be broad defaults on commonwealth debt," said Emily Raimes of Moody's Investors Service. The other debt -- some of which is owned by Wall Street hedge funds and hence has more legal clout-- was paid on Monday. 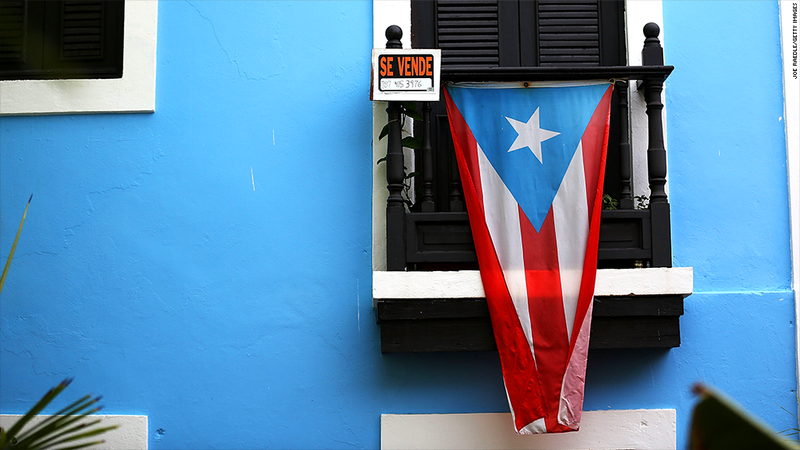 Puerto Rico has the same amount of outstanding debt as New York. Yet its economy -- worth $69 billion -- is just a fraction of the Empire State's $1.2 trillion. The economy is also in a big mess. Unemployment is more than double the rate in the mainland United States. And with Puerto Ricans leaving the island in droves to look for jobs on the mainland, it only shrinks the tax base further, making it harder for the island to pay its debts. Just when you think it can't get worse, Puerto Rico is going through a bad drought. The government is rationing water. Rodriguez said his wife's parents -- who live in Trujillo Alto, a town near San Juan -- have gone without running water this summer for two straight days. Other towns that aren't tourist destinations are going days without tap water too, he said. With the school year starting soon, major questions loom for those on the island. "How are you going to teach with dirty bathrooms and no water?" asks Rodriguez. "At some point the economy and the way of living in Puerto Rico, it's so bad that you start going crazy."